We appreciate your friendship and business. Are you ready to do it again in 2018?? It’s a little easier this year…you only have to vote in 10 categories. We would appreciate it! Lovely neutral sectional, brand new for $1,095. 95×125. so it’s priced to move at $125, 51.25x16x32. Blue designer lamps, $95 each. 29.5″H. Beautiful marsh fine art giclee, $275. 36×36. Very cool plane art on wood, $245. wood coffee tables that were crafted in Mexico. Here are the larger style coffee tables, $395 each. giving you oodles of wonderful storage. 35x35x18.5. Here is a smaller version of the trunk style coffee tables…aren’t these finishes great? $275 each. 39.5×15.25×16. And nice rectangle ones…last two available! We are crazy for this color combo. Mid century look chairs $316 each. Down pillows $32 each. Blue media console $495, 60x17x36. Vibrant framed art companions, 32×32, $195 each. beige loveseat just $395. 62″W. pillows included. $795. 88″W. Local delivery is available. online for $409+, or take it home TODAY for $245. 30x16x36. White washed wood console, $295. 59.75x18x30. Gold swirl ceramic lamps, $125 each. 26″H. Coastal abstract, $295. 60×30. Coral sculpture, $70. Grey swivel barrel chairs, $295 each. 32″W. Wooden console on sale for $175. 40x14x32. Sailboat giclee framed in soft gold, $225, 34×46. We are such fans of this ivory metal chandelier. $325 30″H. Just in on consignment…this black loveseat has been recently recovered and is in like-new condition, $495. 62″W. Joe Ruggiero chair and ottoman, $595. Chair, $450. 28.5″W. Rustic wood media cabinet, $495, 60x17x36. Framed abstract companions, $175 each. 25×43. Resin wood-look lamps, $95 each. 32.5″H. with bronze nailheads, $1,095. 90×118. Red & green custom euro pillows, $62 each. Handsome and durable camel sofa with wood trim, $595, 82″W. metal lamps, $95 each. 26″H. Turquoise wood console, $295, 59.75x18x30. White designer lamps, $165 each, 33″H. in high performance fabric, $795. 70″W. Framed beach art, $175, 44×32. Wooden two drawer console, $295, 60x18x30. Green velvet chairs by Scott Living, $112 each. Rope lamp, $125. Drool…gold bamboo floor lamps with black shades, two available, $220 each. Black mid century sofa, $595, 79″W. Gotta love this teal and gold abstract paired with these lamps. Art measures 39.5×39.5 and is $202. Lamps, $125 each. 29″H. Retails online for $586+ 37.5x16x34. Stunning hand embellished giclee, $225. 47.25×35.5. Modern dresser, $295. 55×16.5×38, matching bedside table, $95. White tall resin lamps, $125 each. 38″H. Smokey glass table lamps, $75 each, 29″H. Hand embellished horse art $195, 33.5 square. Wooden geometric console table, $280. 45x18x32. Check it out…this brand new media cabinet in espresso with gold pulls retails for $1409, our price just $395. 44x19x34. This outdoor wicker dining table with chunky chrome legs and a glass top retails for $879… our price, $450. 78.75×35.5×29.5. Pretty 5-light chrome chandelier just $95. 21”diameter x 23″H. BAM…this club chair in great condition is ON SALE for $125. our price $125, 48x16x32. Come and get it! a super buy at $495 each. 60x17x36. …with a magnificent diamond band from Roman & Jules. .30ctw diamond multi-row band in 14kr gold, $1,735. 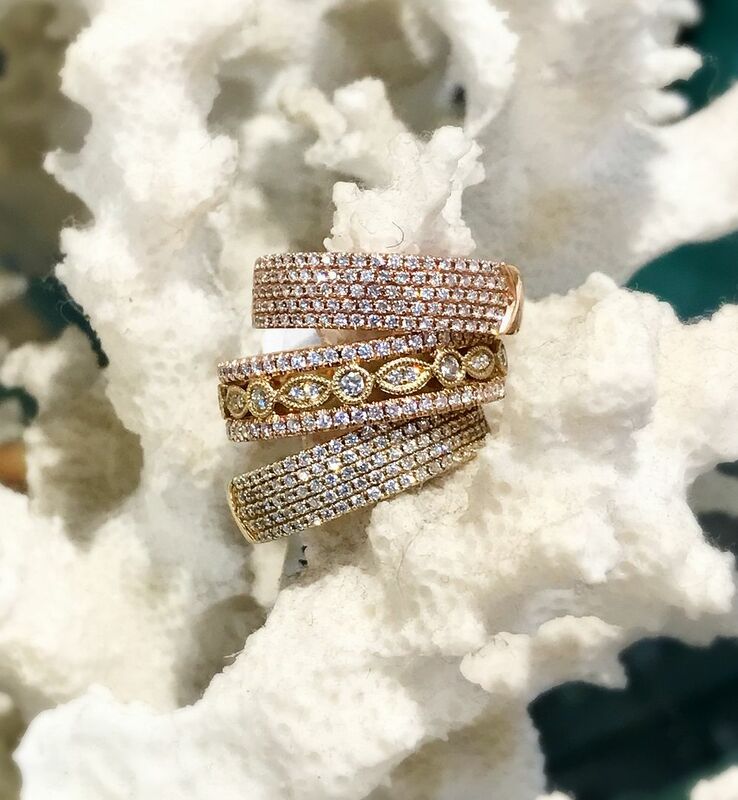 .35ctw diamond band in 14k two tone gold, $2,175. .30ctw diamond multi-row band in 14ky gold, $1,735. 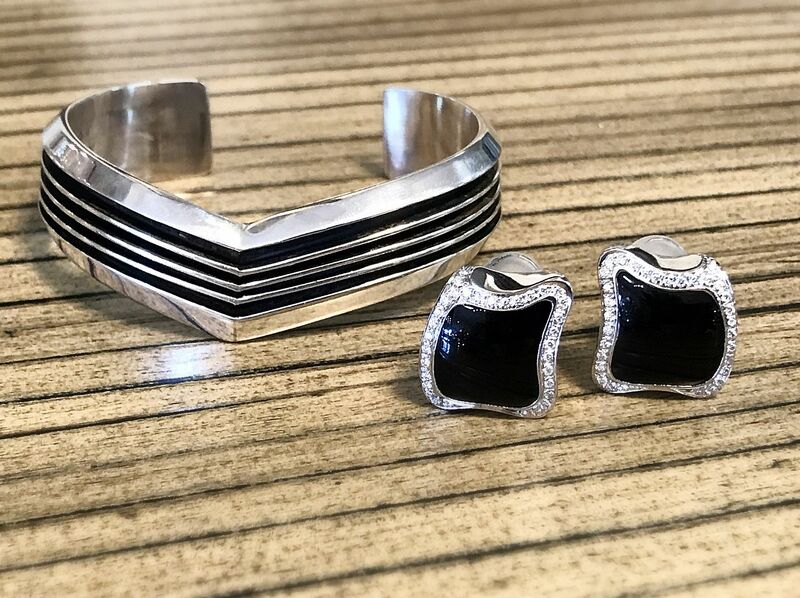 Stack-able cuffs are perfect for a party or every-day casual. 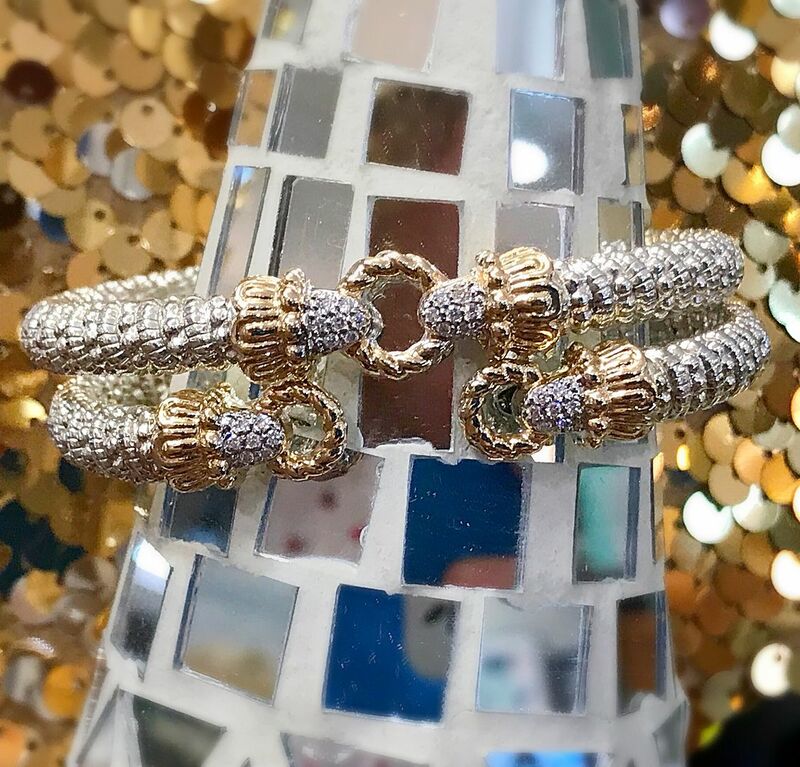 Alwand Vahan 6mm sterling silver and 14ky gold accented bracelets with .11ctw diamonds, $1,995 each. How stunning is this look? 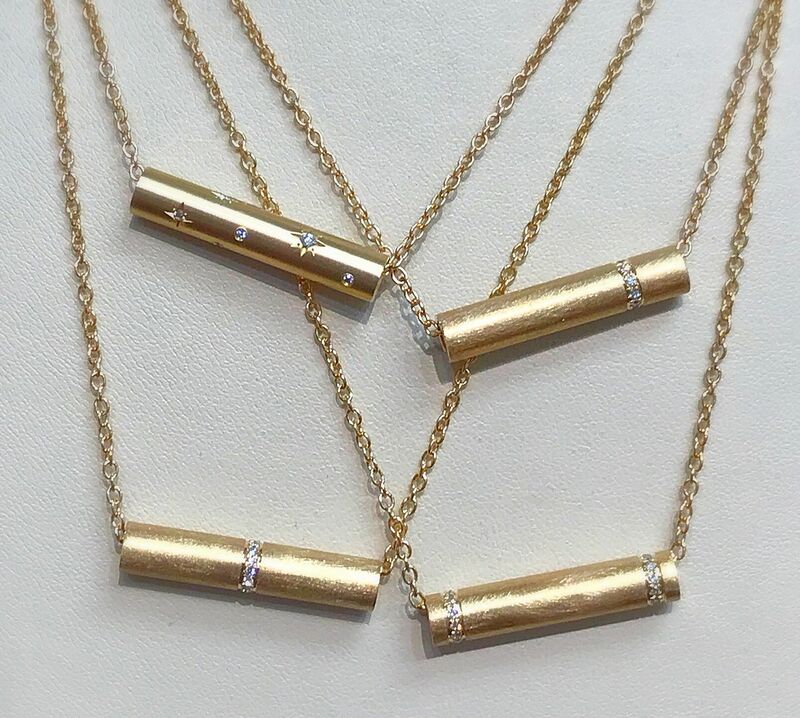 14ky gold 18 inch necklace, $1,995. Want a unique yet still classic stud? 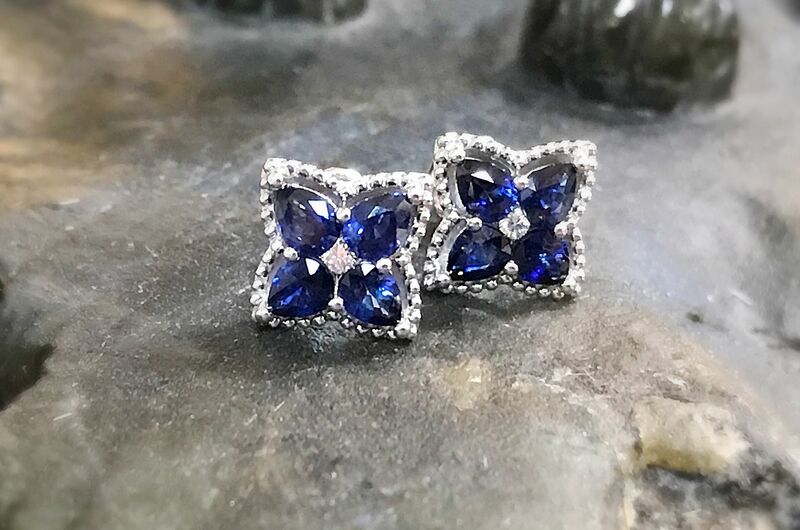 1.49ctw sapphire and .04ctw diamond studs in 18kw gold, $1,415. 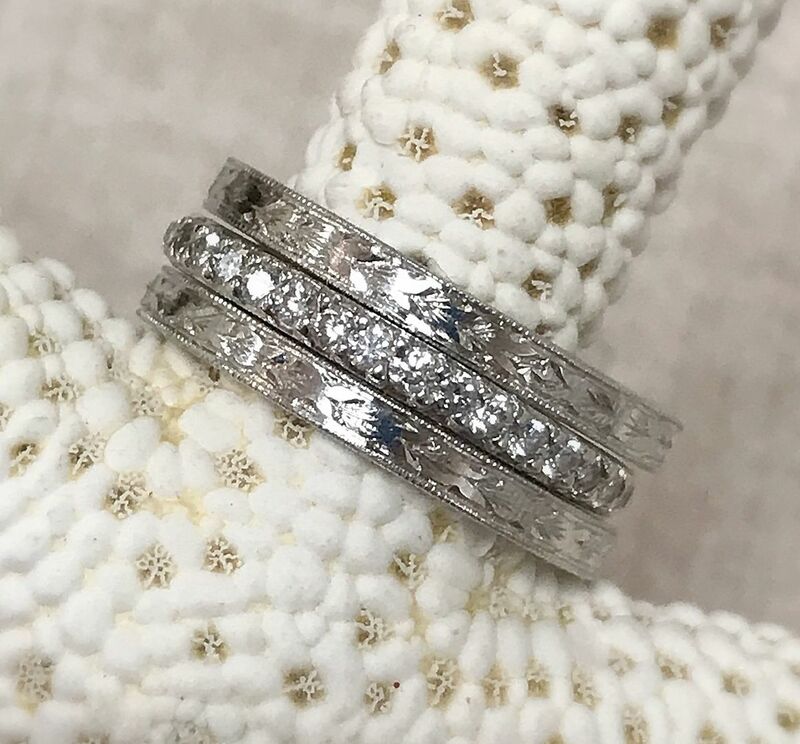 Carved platinum bands, $310 each. Nina Nguyen makes amazing pieces out of it! 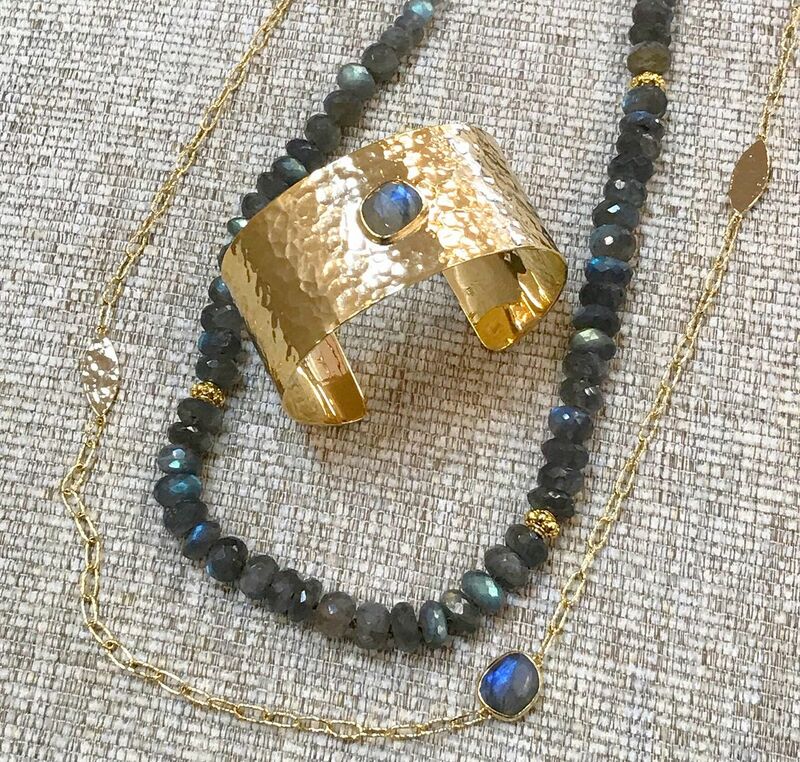 This 30mm vermeil cuff with labradorite is a big look for $360. 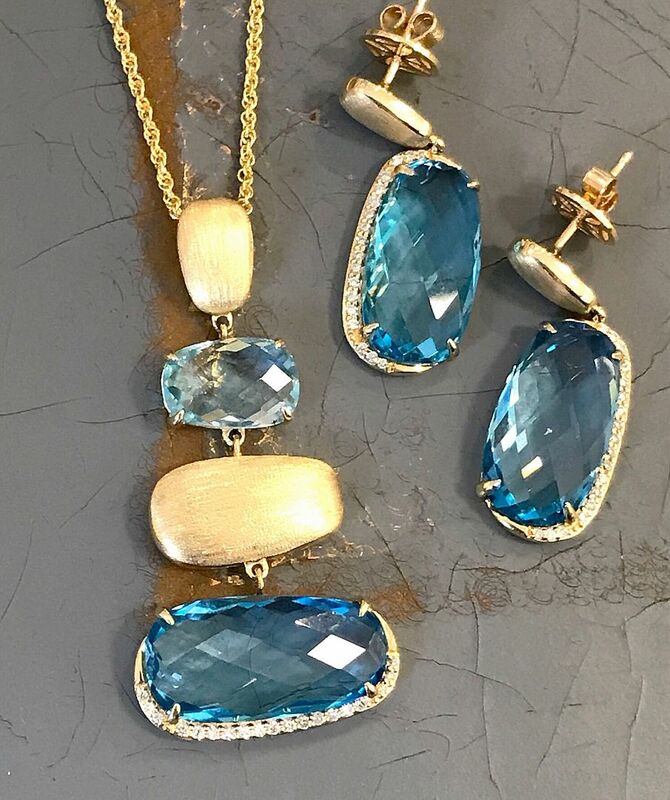 Vermeil and labradorite station necklace, $350. and sterling silver necklace, $265. Freshwater pearl omega back earrings in sterling silver, $165. 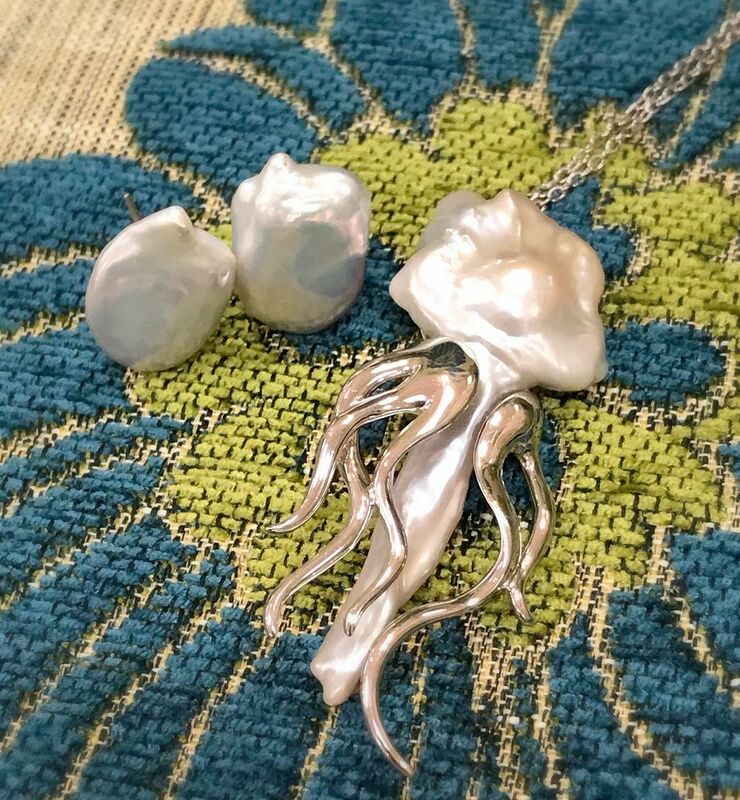 Giovanni Raspinisterling silver coral pieces. 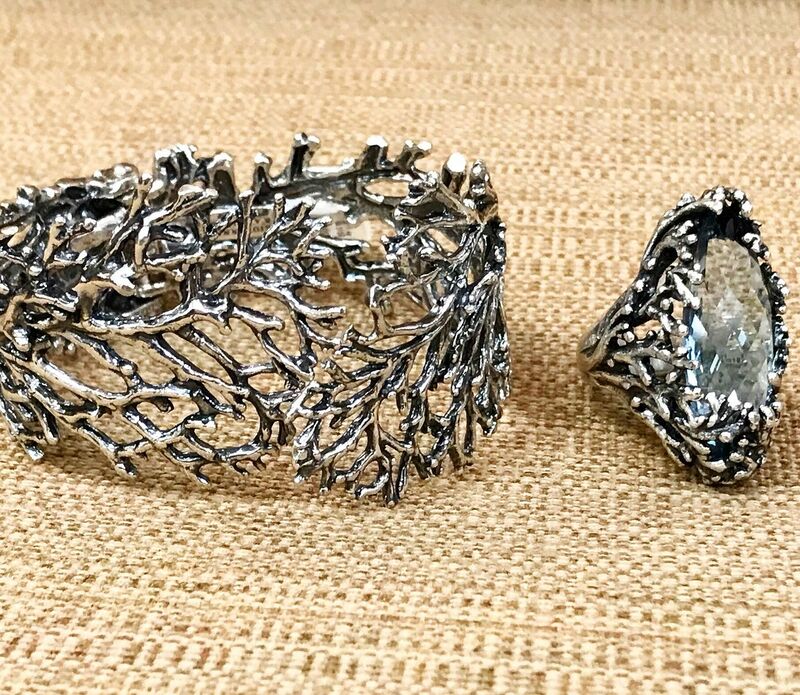 Matching hydro-thermal quartz ring, $475. 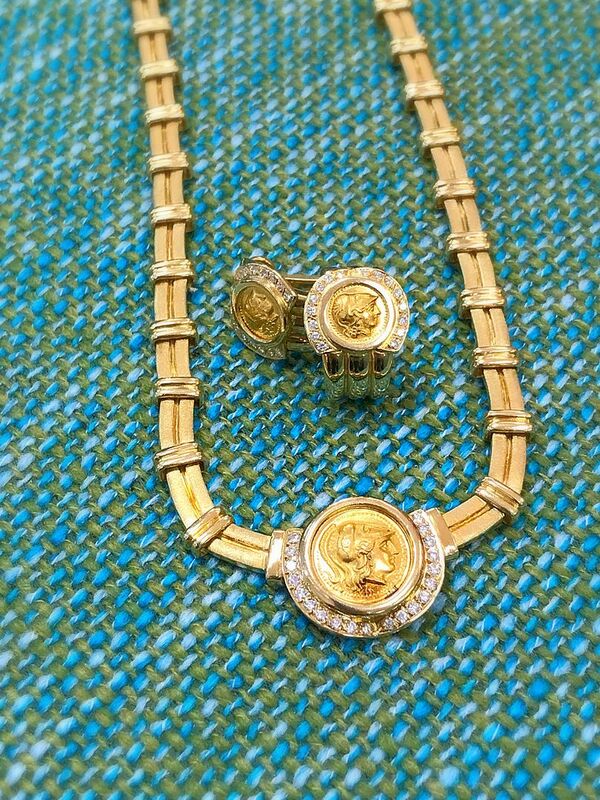 18ky gold and diamond Greek coin omega back earrings, $2,395. Mother of pearl and .27ctw diamond necklace in 14kw gold, $895. 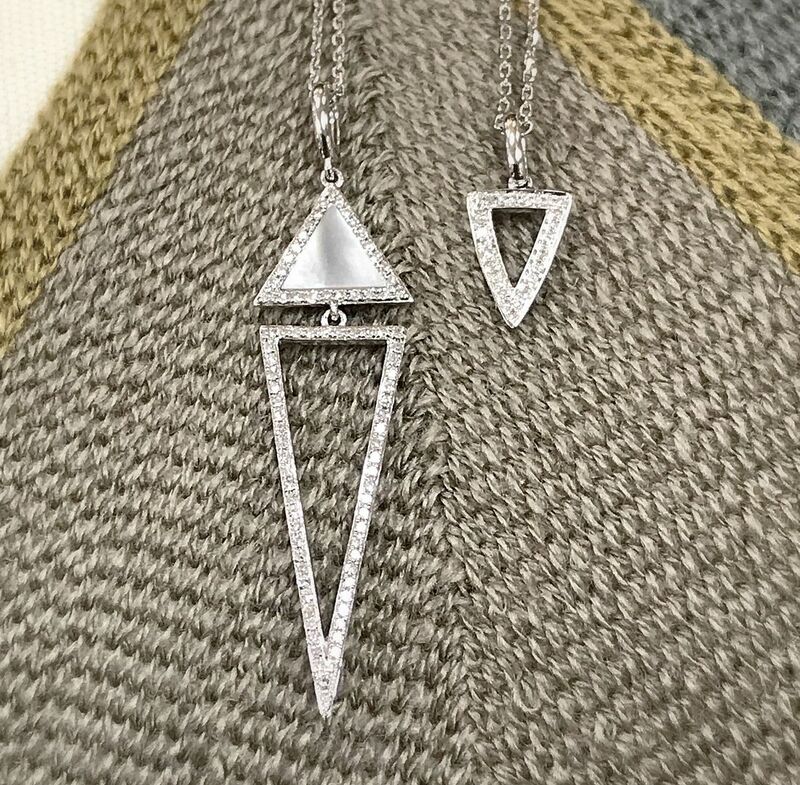 .06ctw diamond triangle necklace in 14kw gold, $445. 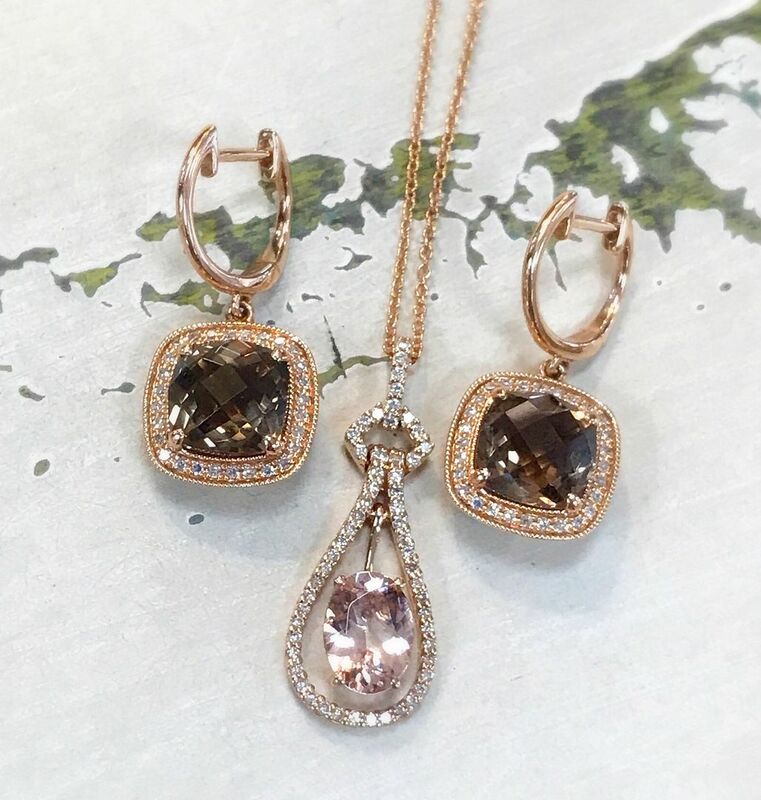 Smokey Quartz and diamond earrings in 14k rose gold, $645. 1ct morganite and .22ctw diamonds in 14kr gold necklace, $475. 15mm sterling silver cuff, $165. Onyx and diamond omega back earrings in 18kw gold, $1,195. .65ctw G color VS clarity diamond bracelet in 14ky gold, $995. 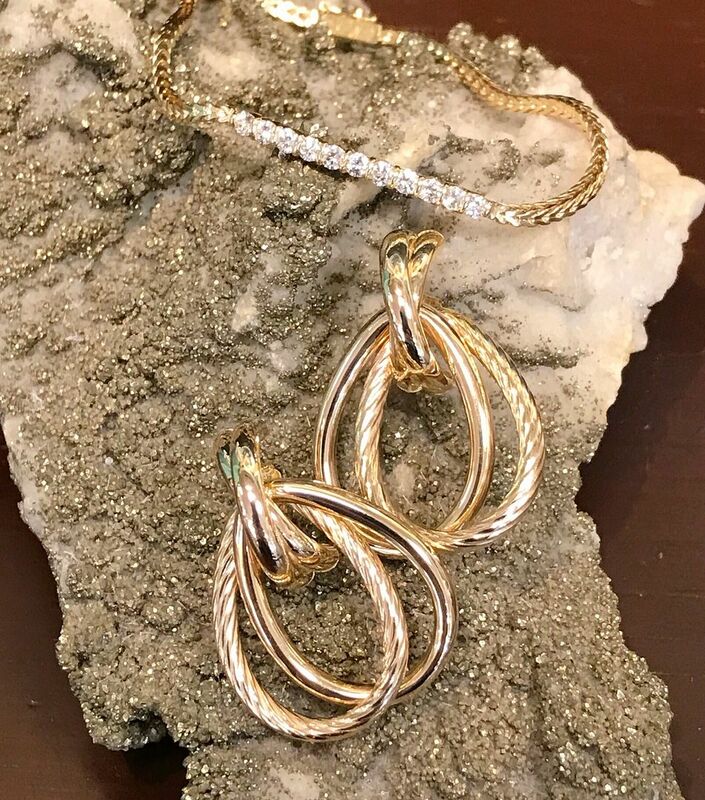 1ctw diamond and 14kw gold necklace, $1,440. 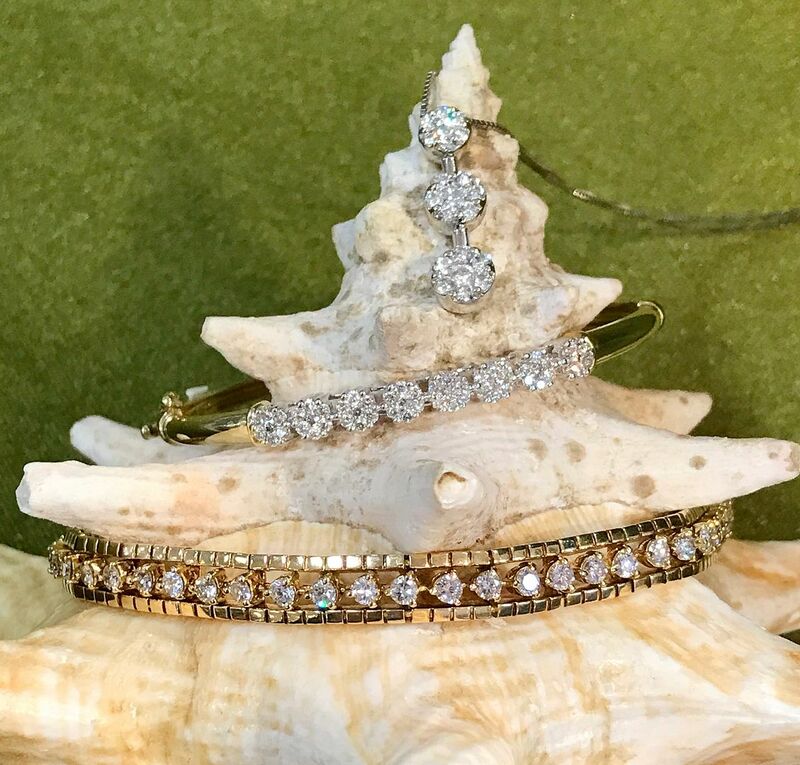 1ctw diamond and 14ky gold hinged bangle, $1,440. 4.2ctw diamond tennis bracelet in 14ky gold, $5,095. yours a HAPPY New Year.